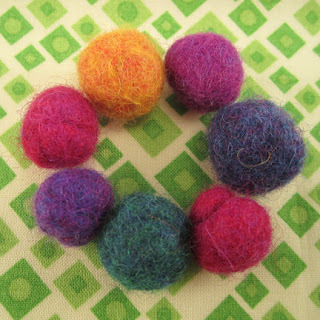 Beaducation: The Blog: Holiday Craft Tutorial...featuring FELTING!!! I wanted a cute, quick holiday craft. Something simple, to adorn packages, to give as little gifts to friends and maybe even make something for me. Our FREE Felted Beads class by Gail Crosman Moore. 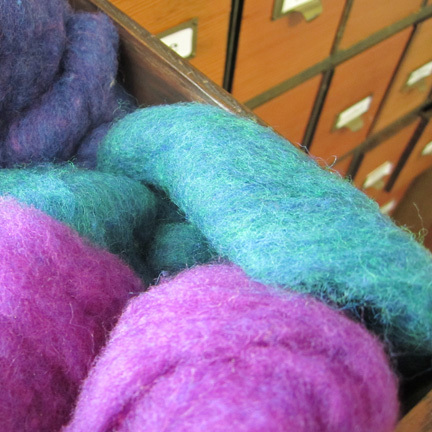 If you don't have a drawer filled with felt roving at home, check your local craft store. A quick internet search for "felting roving" yielded a whole bunch of results. I clicked on the FREE Felted Beads class with Gail to review the steps for making the beads. Gail is a super teacher. She is relaxed and thorough! Then I stood at our sink in our kitchen and whipped up seven felted beads in ten minutes. 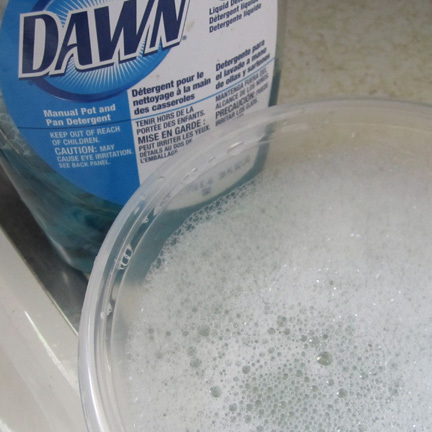 We always have a bottle of Dawn detergent at the ready! Slide a headpin through a bead, turn a loop and dangle from a length of chain for a sassy earring. Make a few more and string them on an elastic thread for a festive bracelet. For even MORE great felting ideas, Beaducation offers two more great felting classes from Gail. Felted Acorn Earrings and Felted Treasure Pouch. I know what I will be doing this weekend. What are your thoughts for these versatile beads? Happy weekend crafting!!! would love to see a class on making felted flowers. i tried to make them and couldn't figure it out - i couldn't get them shaped properly.